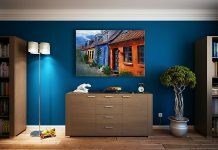 Roohome.com – Grab amazing contemporary home design ideas below because you will not get a second chance if you miss it. The design is equipped with smart ideas in applying contemporary interior and exterior features. 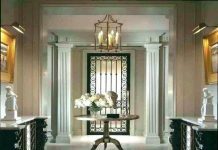 Besides that, the designer presents you modern decorating tips in order to facilitate you in arranging and decorating your own home design. 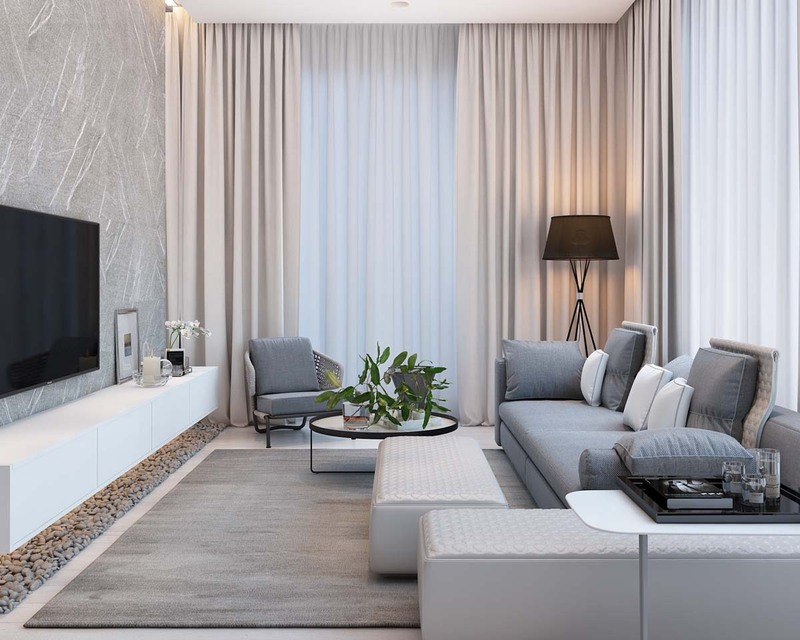 Do not waste your time, this is your turn to redecorate your old look of your house becomes contemporaneous and stunning. Take a look the design below! 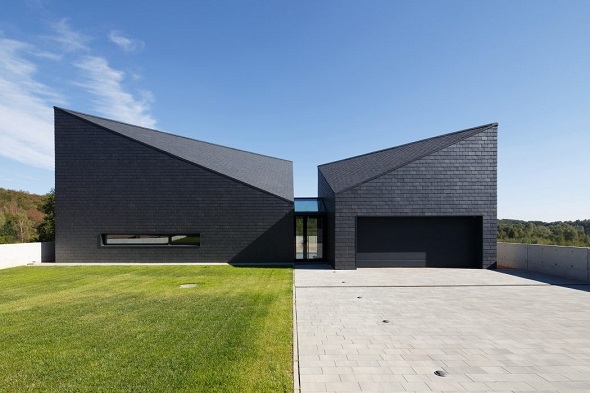 What will you think when you see the shape of this exterior outside the building? RS+ Robert Skitek designs this building dynamically architecture accents which combined with modern exterior features. 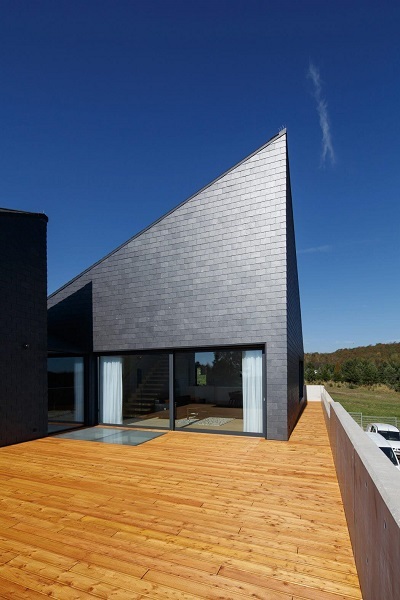 You will not an ordinary roof but surprisingly an extraordinary roof is designed well by the designer. 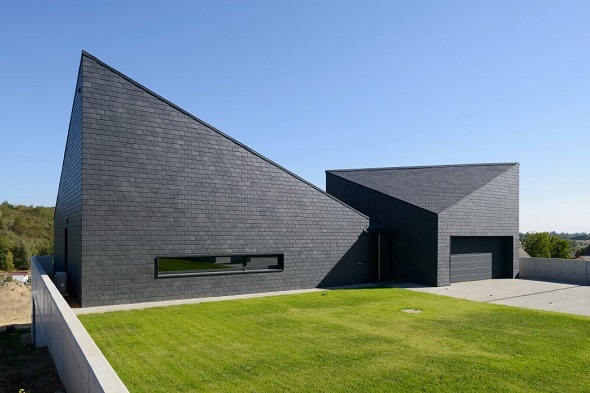 The roof is not only made dynamically but also has a meaningful aim of its construction. A shade of dark brick stone wall textures color decorating the building outside the house really well. The designer is brilliant in choosing the best tone color for the exterior. A green yard makes your house livable and fresher. One thing that you must know, the designer decorates a whole exterior modernly by blending it with glass exterior features. 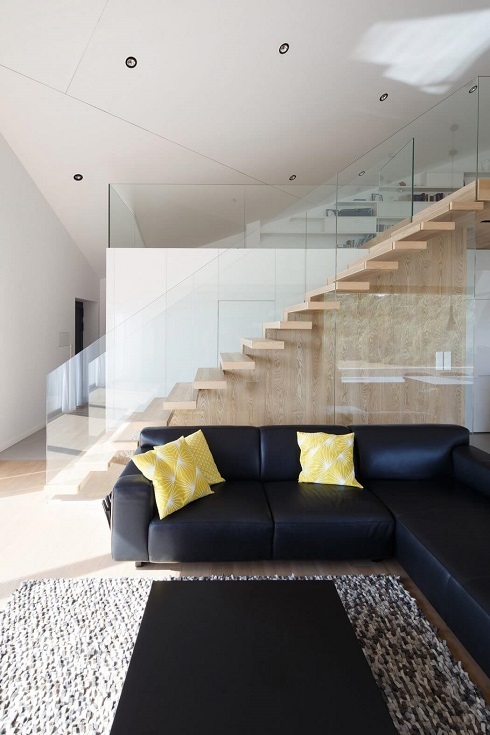 When getting inside the house, you will spot other glass interior features which utilized really perfectly. 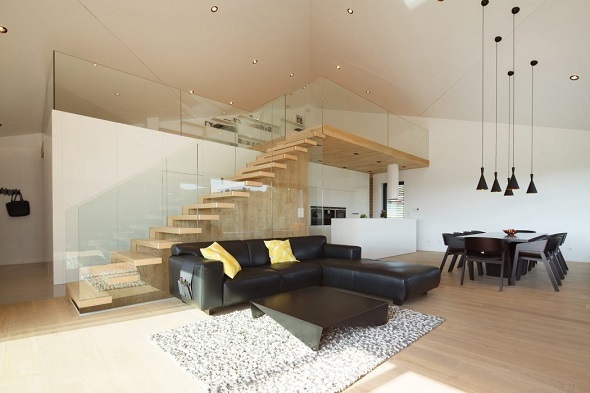 The aim of this glass interior features here for generating a contemporaneous look of your home design actually. This idea naturally made by the designer for helping you get contemporary home design ideas. 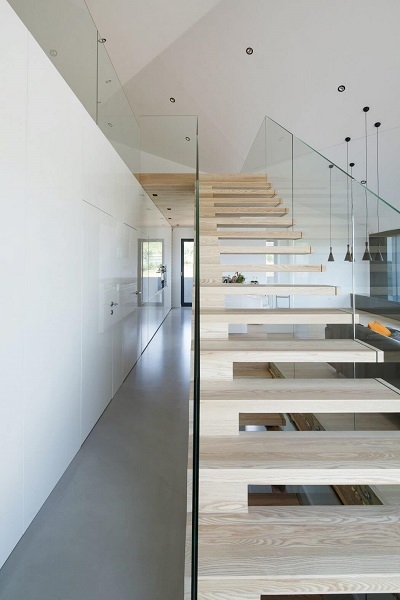 Glass interior features which combined with modern wooden stairs and become the main interesting point in this area. Around the area, there is a black masculine couch along with a black lower coffee table shape as the set. This is an amazing home design idea which not to be missed. For your information, this is an open space house which links a living room to other rooms such as kitchen and dining room. When you get inside the living room, you will those rooms directly around you. 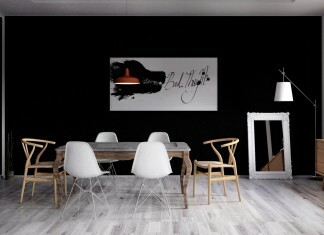 A black wooden dining table will be naturally spotted along with dining chairs. 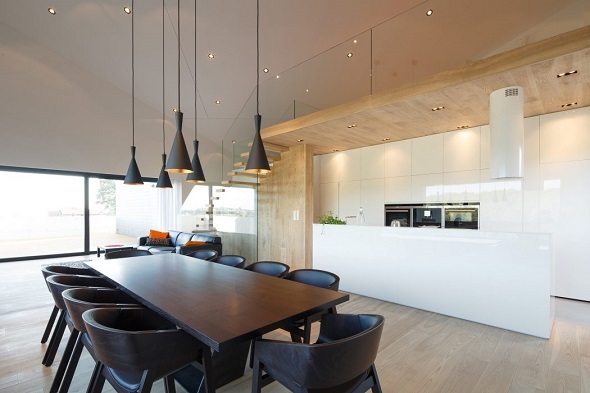 Some simple pendant lights are hung up right above the dining table. 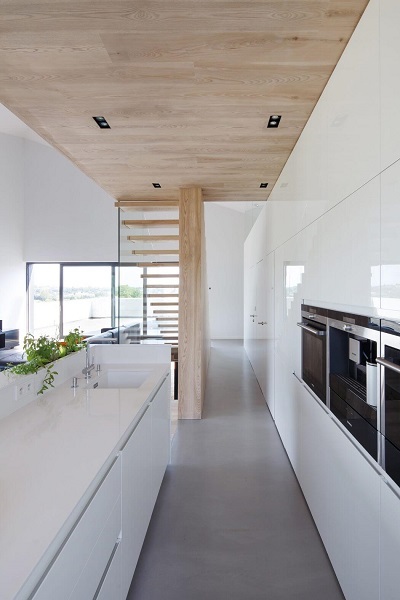 This is an amazing way of modern home interior design which is done by RS+ Robert Skitek. The designer also brilliant in locating the dining table against a big window which facilitates you to reach a natural view outside your house. Meanwhile, the kitchen looks cleaner and wider because of the shade of white tone color. 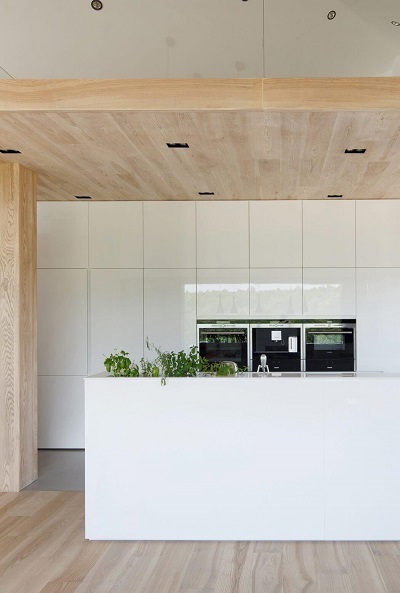 The kitchen interior is totally filled by luxurious white interior features in order to distinguish the dining room with kitchen. There are two other rooms which designed as amazing as the kitchen as well. 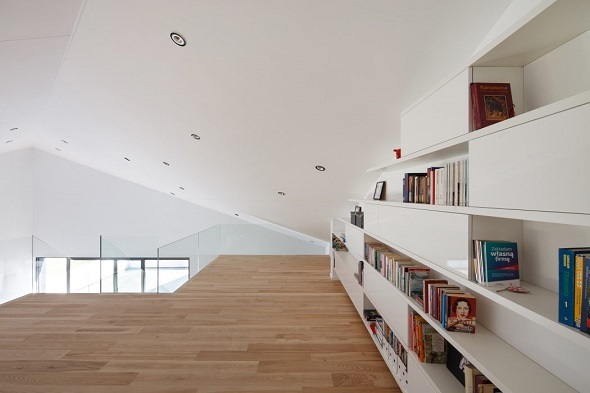 On the second floor, there is a mini library which is decorated with a wide white bookshelf. This mini library does not need any ornaments around of it. The second room is a modern bathroom which looks contemporary and stunning. 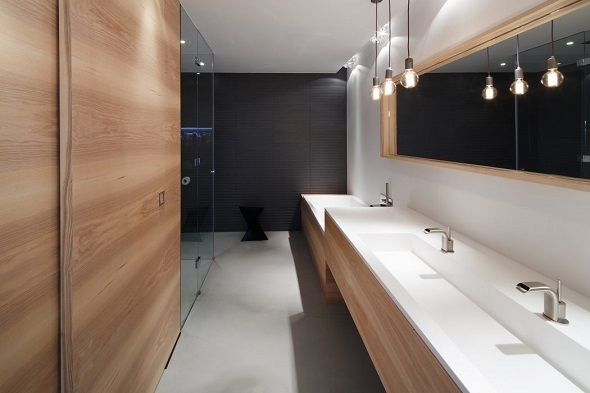 For this bathroom, the designer combines modern wooden accents with glass bathroom interior accents as the set. 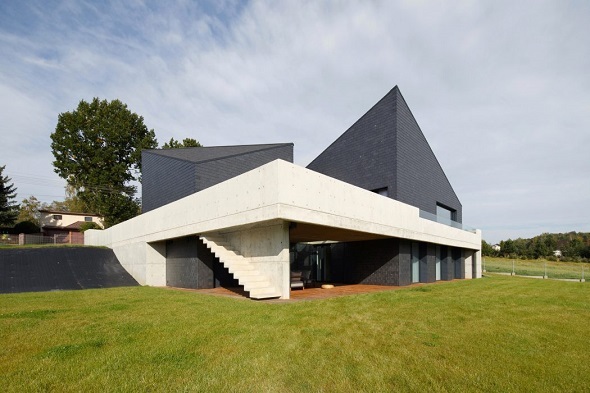 Contemporary home design ideas designed by RS+ Robert Skitek have inspired you a lot by looking the design above. So, what are you waiting for? Just grab your chance start from now on. If you want to see other home design ideas and tips 2016, just visit and check here. Have a nice day!